All the factory equipment was subsequently auctioned off and scattered to the four winds—seemingly spelling doom for Polaroid integral films (meaning the most popular, squarish 600 format; and the rectangular Spectra/Image type). Why is the Polaroid lady twisting her own head off her body? Fuji also makes its own line of integral instant films called “Instax.” However Instax technology is completely different from Polaroid’s, and none of those films are compatible with any Polaroid camera. 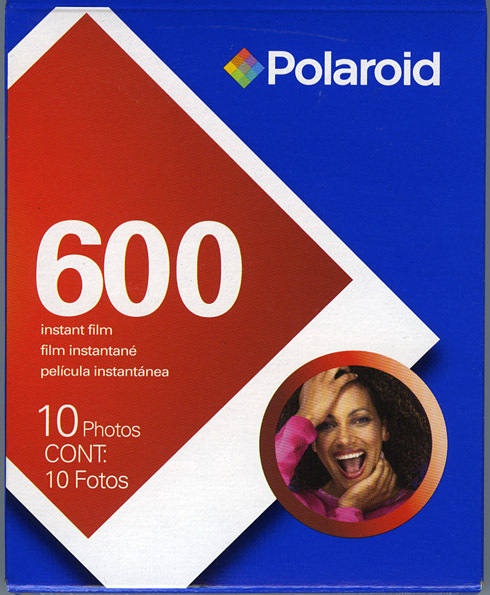 To re-create Polaroid’s 600 film from scratch would be a complex and costly process (remember that each pack also contains a special flat battery). It’s doubtful Fujifilm would have a motive to take on that challenge, when they already makes a competing product. There are not many other players in the market with the technical expertise to revive integral film; so unless some mystery savior appears, we should assume 600 and Spectra are disappearing for good. Earlier this year, the best deal I could find on 600 film was from OfficeDepot’s online store. However for many weeks there has been no more stock available to my Zip code; and anecdotally that seems to be true for other regions of the US too. Why is that date significant? A group of Dutch Flickr members toured the Enschede factory in May, two weeks before it shut down; and the date code they saw on finished packs was 09/09. Note that this is actually later than the “Aug 09” final expiration date listed in Polaroid’s own phase-out announcement. Apparently there may have been one final week’s production stamped with the expiration date “10/09.” Packs with that date are now available at the European “PolaPremium” website. In any case, the message to Polaroid fans is clear. If you see packs with the date code 09/09, assume it’s your last chance to buy them. Ever. So look deep within your soul (and your bank balance), and decide what it’s worth to you, to save a few final packs for special occasions. Expired Polaroid film can lend interesting quirks to an image, due to color shifts and fading; or the image can be streaked or incompletely developed. But once film packs are many years out of date, they begin to fail entirely. Batteries die, or the developer pods dry out. So don’t go hoarding more film than you would shoot in the next 2-3 years. You would just be taking precious shots away from another Polaroid-lover, who might be able to use it. Update 19 Dec. 2008: Just as I posted this, the Polaroid corporation announced it was filing for Chapter 11 bankruptcy. The reasons have little to do with instant photography; but the company’s troubles make the future of the Polaroid brand even murkier. Update February 2009: Yes, I have heard the excited talk about The Impossible Project to restart integral film production. It turns out some of the essential factory equipment was saved after all. I will be curious to see how it pans out. Here’s a good podcast radio interview with the technical head of the project. Remember, they have numerous engineering hurdles to overcome before any film reaches shelves; once it does, it’s likely to be “quirky” emulsions at high prices.